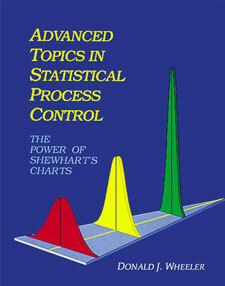 This book is the most comprehensive source book on statistical process control since Shewhart’s original. It is the definitive book, containing a wealth of information found nowhere else. Unlike books which only add layers of complication onto the subject, this book provides a clear and comprehensive explanation of the underlying theory of process behavior charts. I learned a lot about SPC—things I had never seen or heard before.